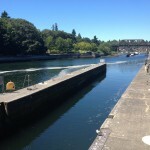 Rounding out our Seattle trip, we decided to go see the Chittenden Locks, known locally as the Ballard Locks after the neighborhood to the north. 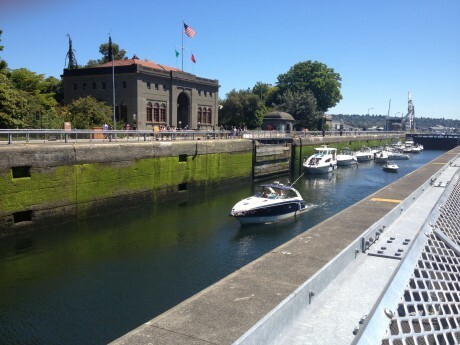 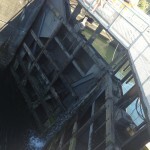 The locks assist in keeping water levels in Lake Washington up while also keeping salt water from Puget Sound out. 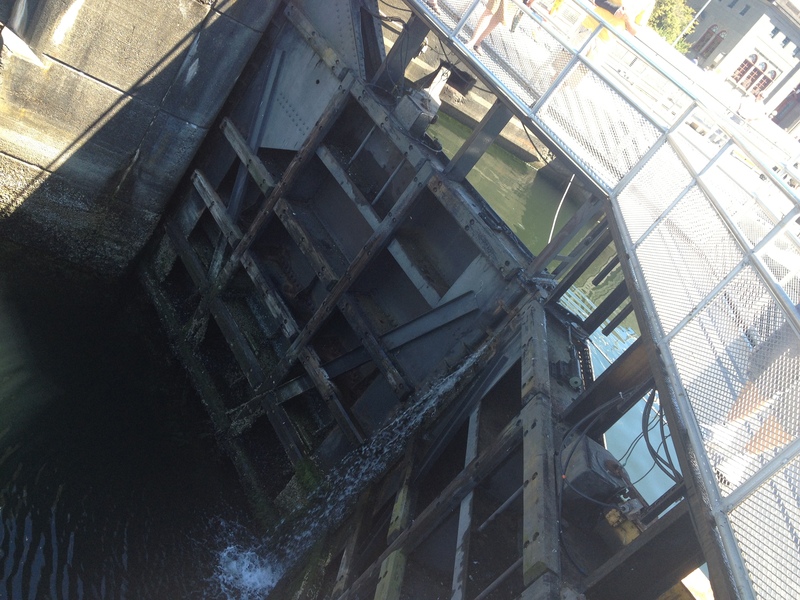 There are actually 2 sets of locks, a small one and a large one, with a spillway spanning the rest of the channel. 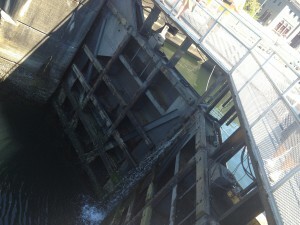 To cross the locks, you walk on top of whichever lock gate is closed at the time. 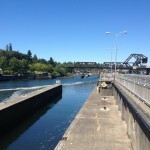 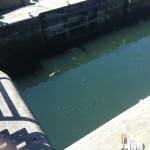 Since Washington is salmon country, you would think they need some way to get past the locks so they can spawn upstream. 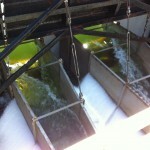 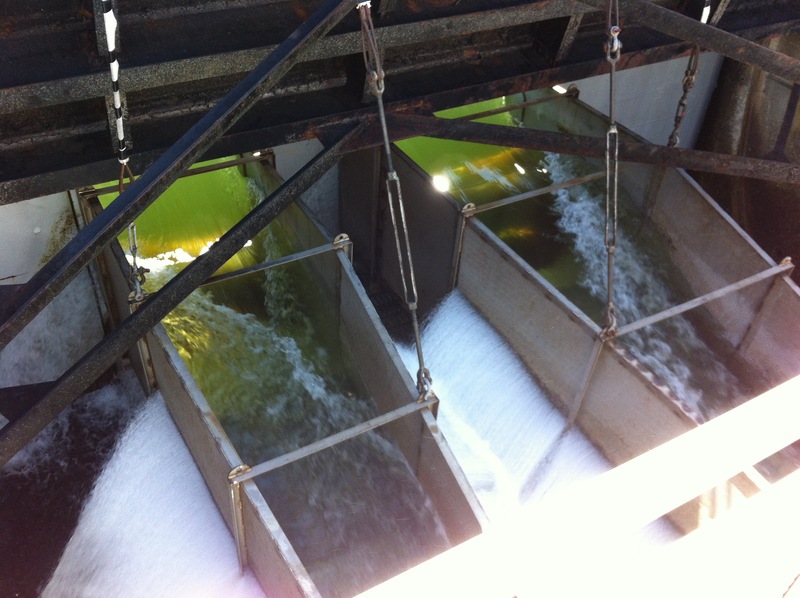 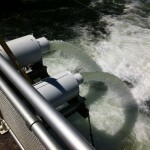 Built into the the spillway is a “fish ladder” which bypasses the locks and allows them to bypass the locks. . 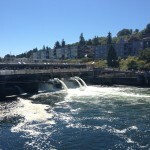 If you are in Seattle and have some time to spare, the locks are fairly interesting to watch, especially with the salmon are swimming upstream to spawn. 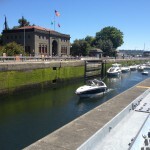 I would combine it with some exploration of the nearby Ballard neighborhood, perhaps before dinner at The Walrus and the Carpenter.